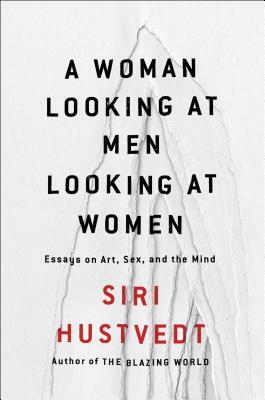 A compelling and radical collection of essays on art, feminism, neuroscience, psychology, and philosophy from prize-winning novelist Siri Hustvedt, the acclaimed author of The Blazing World and What I Loved. Siri Hustvedt has always been fascinated by biology and how human perception works. She is a lover of art, the humanities, and the sciences. She is a novelist and a feminist. Her lively, lucid essays in A Woman Looking at Men Looking at Women begin to make some sense of those plural perspectives. Divided into three parts, the first section, “A Woman Looking at Men Looking at Women,” investigates the perceptual and gender biases that affect how we judge art, literature, and the world in general. Among the legendary figures considered are Picasso, De Kooning, Jeff Koons, Louise Bourgeois, Anselm Kiefer, Susan Sontag, Robert Mapplethorpe, the Guerrilla Girls, and Karl Ove Knausgaard. The second part, “The Delusions of Certainty,” is about the age-old mind/body problem that has haunted Western philosophy since the Greeks. Hustvedt explains the relationship between the mental and the physical realms, showing what lies beyond the argument—desire, belief, and the imagination. The final section, “What Are We? Lectures on the Human Condition,” discusses neurological disorders and the mysteries of hysteria. Drawing on research in sociology, neurobiology, history, genetics, statistics, psychology, and psychiatry, this section also contains a profound and powerful consideration of suicide. There has been much talk about building a beautiful bridge across the chasm that separates the sciences and the humanities. At the moment, we have only a wobbly walkway, but Hustvedt is encouraged by the travelers making their way across it in both directions. A Woman Looking at Men Looking at Women is an insightful account of the journeys back and forth. "Richly explored...and, when art is the subject, touchingly personal...It's hard to overstate the pleasure and the comfort that such demystification provides...it does indeed make the world feel larger, more expansive, more alive to the touch." "Canonical . . . A dense, succinct overview of the mind/body problem . . . Conveys the wide range of Hustvedt’s reading as she focuses on the interstices between people; between disciplines; and between concepts such as art and science, truth and fiction, feeling and perception." "Hustvedt has provided us with an impressive collection that celebrates critical thinking." "We are fortunate to have Hustvedt voicing doubt so intelligently."